YouTube is probably the best place where you can find any type of videos quickly. It is free to use, and you can listen to any music video, any movie or any other type of video. It is also world’s number one videos playing platform. The reason is simple. It is quick, fast and provides free videos. Also, you don’t need to sign up in order to use YouTube. You can listen to music without signing in which is a great feature. Besides regular version of YouTube, a new version has been introduced which is called YouTube++. 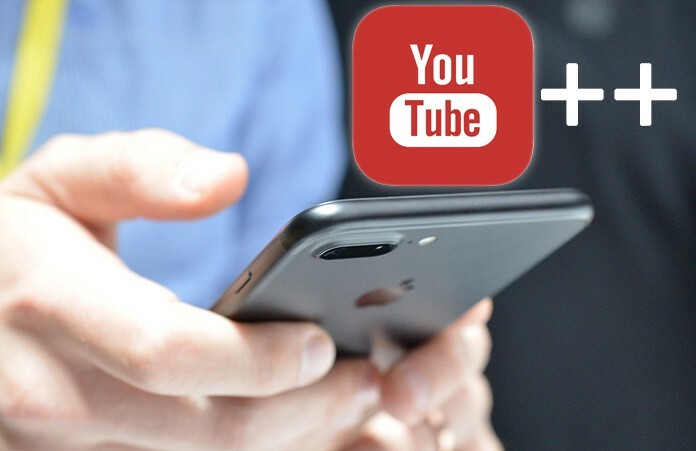 In this article, we will teach you how to download YouTube++ on iPhone without Jailbreak. This version was initially available for only jailbroken devices. However, some new techniques have shown us that we can install such apps on iPhone without jailbreaking. So if you are using iOS and want to download YouTube++ on iPhone, have a look at the procedure below. Before starting the procedure, you must know what you will get by installing YouTube++ on your iPhone. A lot of new innovations are added in new version of YouTube. You can easily remove age restrictions from the videos on YouTube. You can listen to video music while in the background. You can block video ads by using YouTube++. You can save and watch YouTube videos offline. You can automatically replay videos which are also a great feature. Besides these features, you will find a lot of more features. Now let’s start the process of installing YouTube++ on your iOS device without jailbreaking. First of all, you will need a USB cable, a computer running the latest version of iTunes, the IPA file of YouTube++ and a valid Apple ID. You will also need Cydia Impactor app which is used to sideload apps on your iOS device without jailbreak. 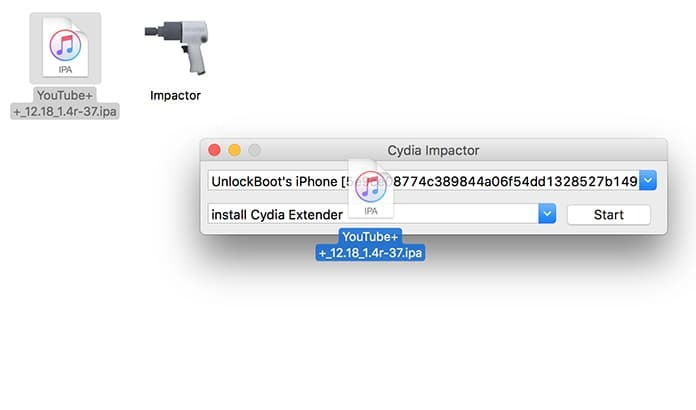 Download Cydia Impactor from our website and get the latest version of this app for your computer or Mac. Now install it and open it. Now follow the process below to complete the installation. Step 1: Connect your device to your system using a USB cable. Now open the Cydia Impactor app. You will see a dropdown menu with the connected devices. You will see a list of connected devices. Select your device on which you want to install YouTube++ app. Step 2: Now head to the IPA file of YouTube++ app. You can get the IPA file of YouTube++ from the internet easily. Now click on it and drag it to the Cydia Impactor app. Now click on Start. Step 3: Now you will be asked to put your Apple ID in the bar. Provide your valid ID to the app and click OK. 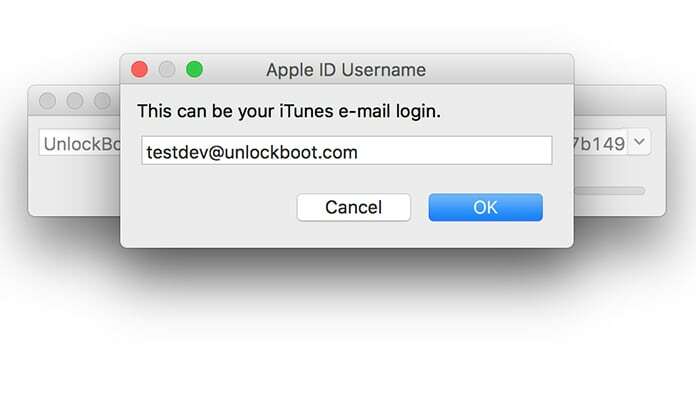 Step 4: It will start sideloading the app on your iOS device. Step 5: Now all you need is to trust the app. Go to the Settings app and click on the General option. Now click on Profiles & Device Management. You will see YouTube++ app installed there. Click on it and tap on trust. Now the process is done. You have successfully installed YouTube++ app on your iOS device without jailbreaking. The YouTube++ app can be easily installed without computer, using TuTuApp helper. 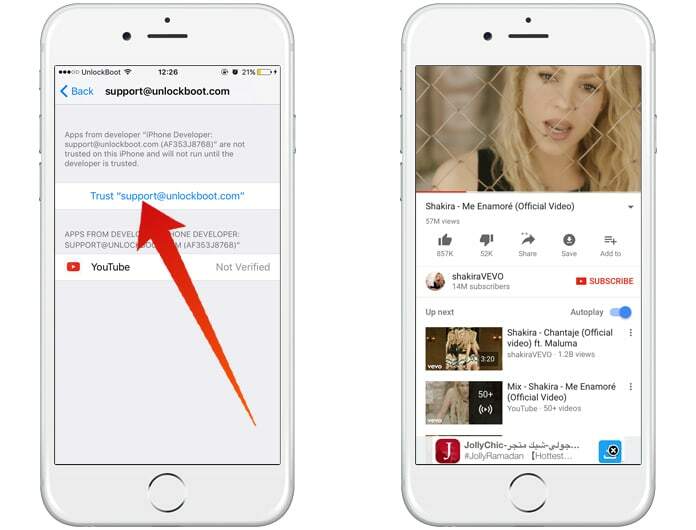 You can download YouTube++ for iPhone, iPad or iPod Touch directly from TuTuApp. Step 1: First, you need to install TuTuApp on your iDevice. Step 2: Then, open it and search for YouTube++. Step 3: Install the app and trust the certificate. Step 4: Open Youtube++ app from your home screen. 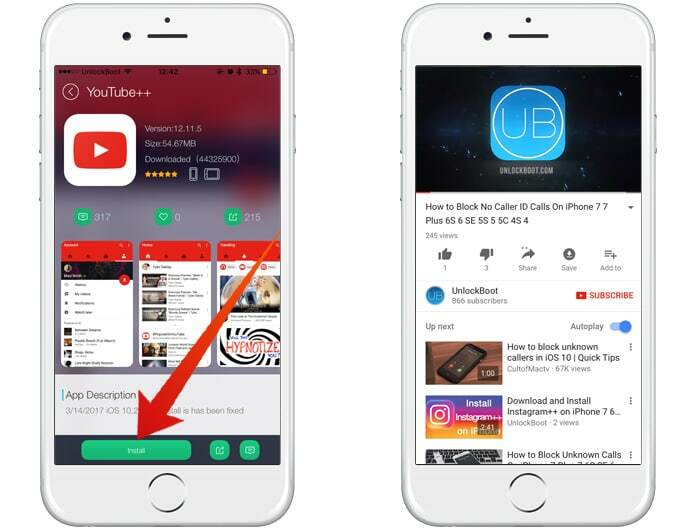 Now you can use it and enjoy all the amazing features of YouTube++ on your iPhone, iPad or iPod Touch running iOS 11, iOS 10 or above.